Valentine’s Day Special: What Would a Guy Want to Receive As a Gift? With Valentine’s Day looming, it’s a time for men to think how best to show their love of their life partner. Traditionally it’s for the man to lavish gifts on the woman; flowers, chocolates, and a fine meal, or something more extravagant. But why should the guy be left out? Don’t men deserve a gift to show they are equally loved? It doesn’t have to be expensive; it just has to be something to prove the love is there. 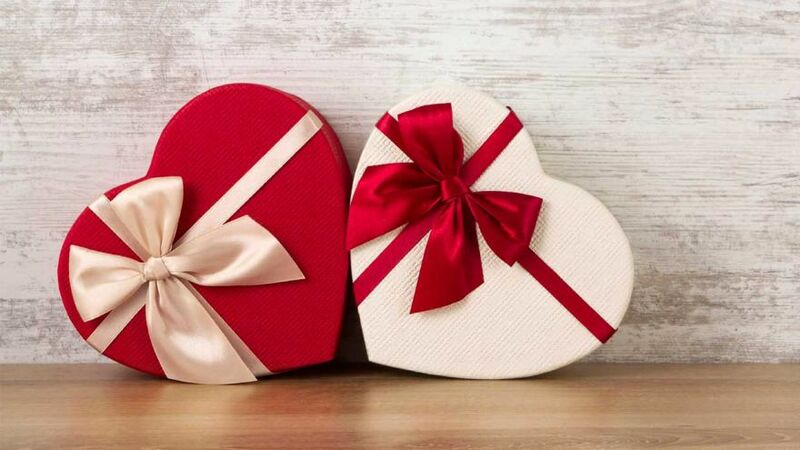 Now selecting a gift, especially a Valentine’s Day gift, for a man can be very tricky indeed, so we’ve put together some ideas for gifts guys would like to be given on this special day of love. They say the way to a man’s heart is through his stomach, so how about treating him to a special Valentine’s Day breakfast with these Star Wars pancakes. The set includes molds for three Star Wars characters, Yoda, Darth Vader, and a Stormtrooper. The non-stick steel molds can be placed on a pre-heated griddle, and the batter poured inside. Once the batter is set, the mold can be removed, and the pancake flipped. There is another set of Star Wars spaceships which include the Millennium Falcon and an X-Wing fighter. There’s a perennial man’s problem, and that’s how to keep his morning coffee hot for as long as possible. It’s a pity to waste a good brew in the morning, and leave it to stew or get cold. That’s why a hand Thermos flask does the trick. It can be used at home, on the commute, and at the office to keep that freshly brewed coffee piping hot all day, or until it’s all drunk. 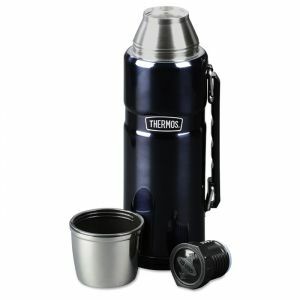 The double-wall vacuum of the flask is enough insulation to keep a hot or cold liquid at a steady temperature for up to 24 hours. On a hot day, most guys will reach for a nice refreshing beer to slake their thirst. The problem is that once opened, that hot weather is going to warm the beer, so the refreshment never lasts. That’s no longer true if you use the ingenious Corkcicle Chillsner specially designed for beer bottles. The inserts are frozen ahead of time, and when you open a bottle of beer its inserted into the neck. 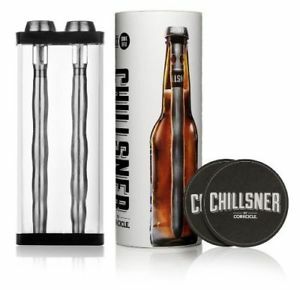 The Chillsner provides a tight seal at the neck of the bottle. The vent in the top of the device allows you to drink out of the bottle, and every sip is as cold as the first. Why couldn’t St Valentine’s Day be in the summer? With it slap bang in the middle of winter St Valentine’s Day is often marked by cold temperatures and inclement weather. However, your sweetheart will thank you a lot if you get him a pair of Mujjo gloves that are woven with a special thread. 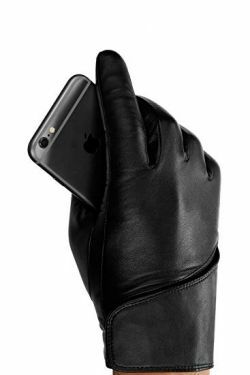 This means your man can work his touch screen without taking the gloves off. The one-size gloves are super warm and come in a variety of colors. Reusable water bottles are all the rage, and you may have seen this on the top business TV show ‘Shark Tank’ a few seasons ago. The 20-ounce water bottle makes a perfect gift for a runner or cyclist. 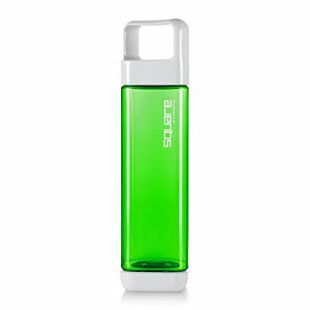 The square-shaped Clean Bottle doesn’t make water taste metallic, as it is so easy to clean by removing both the top and the bottom. Giving this as a gift will as help cycling and eco-friendly charities, as the makers donate ten per cent of the proceeds. The chances are you’re going to celebrate St. Valentine’s Day by opening a bottle of wine, so why not give your man a fantastic corkscrew as his present. The ‘Rabbit’ style corkscrew is unlike any other type of corkscrew on the market and has been getting rave reviews on how simple and reliable they are at pulling corks. The Rabbit corkscrew does away with recalcitrant corks forever. 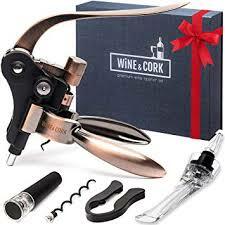 They are usually a bit more expensive than a regular corkscrew, but this type will never let you down. Classic movies of the forties and fifties often showed couples sipping cocktails before dinner. 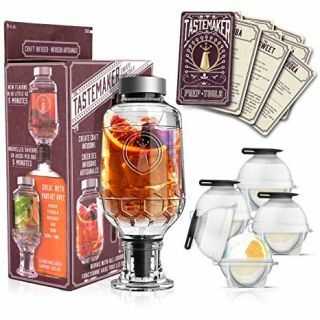 I’m pretty sure it didn’t happen in every home, but you too can enjoy a little of that classic elegance with this vintage-looking cocktail shaker. No worries if you’ve never mixed a cocktail in your life, as classic drink recipes are engraved on the side of the shaker. The shaker will no doubt improve his bartending skills, and will undoubtedly look good on the shelf. When a piece of clothing takes on an iconic personality, you know it’s something special. So why not gift your special man one of the comfiest sweatshirts every. 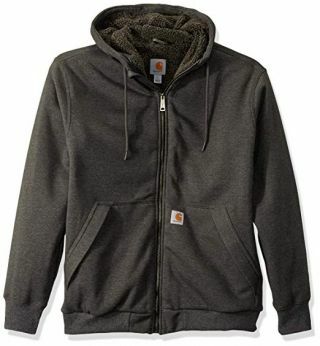 The zip-up hoodie from Carhartt has become insanely popular for a good reason. As it is three times thicker than most other sweatshirts, the texture and feel just can’t be beaten. They are extremely well-made, and of the highest quality, but that does come at a premium price, but isn’t your man worth that little extra. 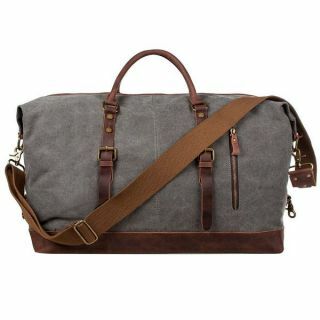 Maybe you’re planning a weekend getaway with your man when the weather improves, so what about getting him an overnight bag that is tough and stylish. The last thing you want his him turning up at your smart hotel with his clothes stuffed into a ratty old sports bag. The canvas bag can easily fit into overhead storage compartments on the planes and meets all airline size limits. The rugged construction means it will last for years and it looks good at the office, gym or when traveling. Not many of us like to kiss our man on his stubbly cheek. It’s got to be smooth skin or a well-trimmed beard, that half-way stage can chaff and scratch like no tomorrow. This beard grooming and trimming has everything you man needs to get the smoothest and most comfortable shave imaginable. 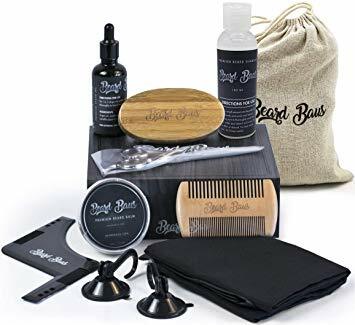 The kit comes with pre-shave oil, a brush and shaving cream, and an after-shave balm. All the products are suitable for even the most sensitive of skins. What’s even better is you can choose from a wide range of scents such as sandalwood, lavender, lemon, and many more. Keeping your man fit and healthy is often a challenge. Keeping track of the amount of exercise you do every day is one of the best ways to gauge how really fit someone is. The latest generation of Fitbit exercise monitors does all of that. 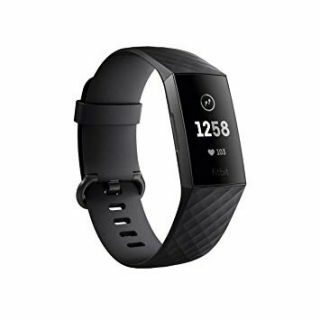 The Fitbit Force takes into account how many steps you take in a day, and works out how many calories you’ve burned through exercise. It also checks on your sleep pattern, to see if you are getting enough rest. There aren’t many guys that don’t like music, so you’ll certainly get a great response if you buy him a new pair of headphones. Featured is the Sony MDR1R over the ear headphones, which have the fantastic sound quality, great comfort, and exceptional durability. 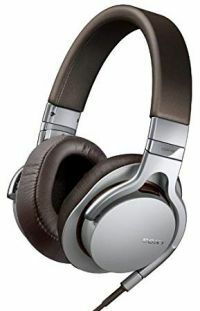 Of course, there are other brands of headphones, and you can consider earbuds rather than full-size headphones. Whatever you pick your music nerd will be happy with your choice. I know it may sound kind of lame, but why not buy your man a new set of boxer shorts for Valentines. Underwear can be one of the most romantic gifts for the day of love, but they also have a more practical side. The last thing most guys think about is buying underwear for themselves, so a gentle reminder of a new pair will say so much about how much you care for him and how he feels. 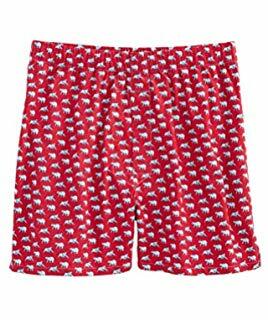 These boxer shorts from Vineyard Vines are described as ‘the best boxers in the world’. Well, I’m not sure if we can go that far, but they are made with a soft fabric and are very high quality, so they’re at least heading in that direction.